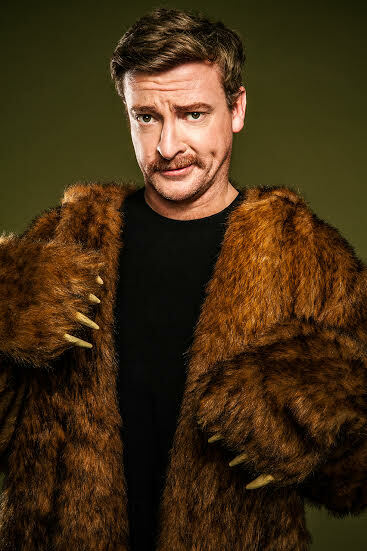 Rhys Darby first gained attention in the United States as Murray in HBO's Flight of the Conchords. This was not a new role for him, having first appeared in the same role on the BBC Radio Show of the same name. An ex-soldier in the New Zealand Army and a veteran of almost twenty years as a standup comedian, Darby made his feature film debut in Yes Man. He went on to feature as one of the DJ's in The Boat that Rocked (Pirate Radio). He has since completed two lead roles in romantic comedies, Coming and Going opposite Sasha Alexander (NCIS) and Lovebirds opposite Golden Globe winner Sally Hawkins. Most recently he was seen in the hit film What we do in the Shadows as alpha male werewolf, Anton. Darby is never far from his standup roots. His standup has been described as a sensational blend of sound effects, characterizations and askew observations. His career has taken him from his homeland of New Zealand, to the U.K. and beyond. He has performed his unique brand of humour in places as far flung as Iceland to the Falkland Islands, and in festivals from the Edinburgh Fringe Festival to Montreal’s Just for Laughs. Rhys has three standup special’s, Imagine That! ( 2008), It’s Rhys Darby Night! (2011) and This Way to Spaceship, (2012). This Way to Spaceship was based on his debut novel of the same name, “A loosely autobiographical end of world companion” in April. It was number 1 in the international charts for 7 weeks. Since then he has written and starred in his own 8 part mockumentary comedy series for TVNZ and Netflix, Short Poppies. He had so much fun creating his own television show he is now working on the next one. In between his huge adventures Darby is based in Los Angeles with his family where they like to hike and eat tacos and he appears regularly on US TV in shows like How I met your Mother, Modern Family and The Late Show with David Letterman.